If you are looking for new copies or replacement of your car keys, make certain you go for our expert team of key cutters! Give us a call and we will immediately provide you with new keys that will perfectly fit your existing lock. vehicle. Losing keys can bring great inconvenience. It is therefore a smart idea to get a spare copy of your car keys. Automotive Key Cutting San Diego can give you a high quality new set of keys. 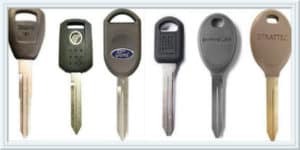 Our company is one of the trusted key cutting service provider around San Diego. For quite some years working in this industry, the company had already established a reputation for providing excellent service delivered by highly trained locksmith experts who had also years of experience in the business, had dealt with the variety of lock-related problems and with all models and made of cars. Automotive Key Cutting San Diego is dedicated and committed in helping those who are in need of a replacement or spare key and save them from paying too much just to acquire a new one from the manufacturer. We aim to give our clients a fast and affordable way to replace their lost keys or just get a new one. No need for long waiting hours, days and even weeks. Our expert locksmiths will cut whatever key you want in no time. Why leave car key cutting San Diego job to our team of expert locksmith? Key cutting comes in numerous different types including key duplication, creating spare car keys or laser car key cutting. 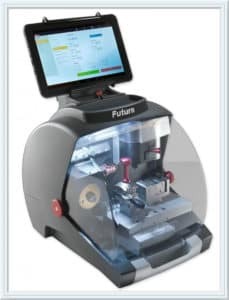 All of which requires a special machine to cut the keys in the correct shape and size. For higher-end vehicles, the machine required is one with a laser cutting selection. Laser cut vehicle keys are specifically engineered for higher sense of safety and security. Laser cutting or any sort of key cutting requires state-of-the-art tools and machines as well as expert individuals who would perform the task. sure that there’s no piercing edges. This finishing touches is typically done for several reasons. One of the reason is to make sure that once the key is used in lock, it wouldn’t leave any imperfections or scores on the detainers or levers in the locks interior. If the detainers or levers were to acquire imperfection, it can cause the lever lifting in lock’s interior which may lead into a lock-out situation. The same thing applies to deburring cylinder key type or any kind of wafer-style or pin tumbler lock. This is just one of the countless things or details that require expert attention. Our expert locksmith understands that key cutting isn’t as simple as it sounds and requires sufficient understanding as well as skills to do the task efficiently, careful enough not to make any mistake. 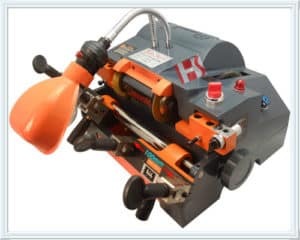 We also have the most advanced key cutting equipment and machines. When you leave the key cutting job to our professionals, we ensure you with peace of mind knowing that your new set of vehicle key is done into perfection. Our locksmith experts will cut the key in precise shape and size. Not only that, our team of expert locksmith had also undergone extensive trainings to acquire latest strategies to improve our car key cutting San Diego service. In addition, we are well-adept in security system of all kinds and models of vehicles- whether a high-end vehicle of a vintage one. So whatever is your key cutting needs and requirements, our team of locksmith professionals will get you covered. Car key Cutting San Diego: Service you can Trust! Our team of reliable locksmith experts guarantees our clients with long-term and plethora of benefits that comes from premier locksmith service. And along with the commitment of providing high-quality locksmith service, we offer our service at the most competitive price to meet our client’s budget restriction. So when you need topnotch locksmith service, just give us a call and will immediately respond to whatever your lock-related concern is. We always take pleasure assisting our client with their locksmith needs. which nobody can match when it comes to cutting keys. All of our produced keys are completely guaranteed. If you’re concern is the possibility of future problems, don’t worry because our expert locksmith will give you some advice about lock-related concern. You can also call us in case you get some trouble with the keys. Car Key Cutting San Diego is fully aware of other similar service providers out there. The options may even be overpowering. With wide array of options, why settle with us? Smart clients settle with those who take them seriously and never take them for granted. We know that one who needs key cutting service can be quite in a desperate situation. We understand how frustrating it is to lose your key so we make sure to give you a new one in a price that will justify the quality of service. So the next time you will be in need for reliable, professional and affordable locksmith key cutting service, feel free to get in touch and see for yourself what we can offer.